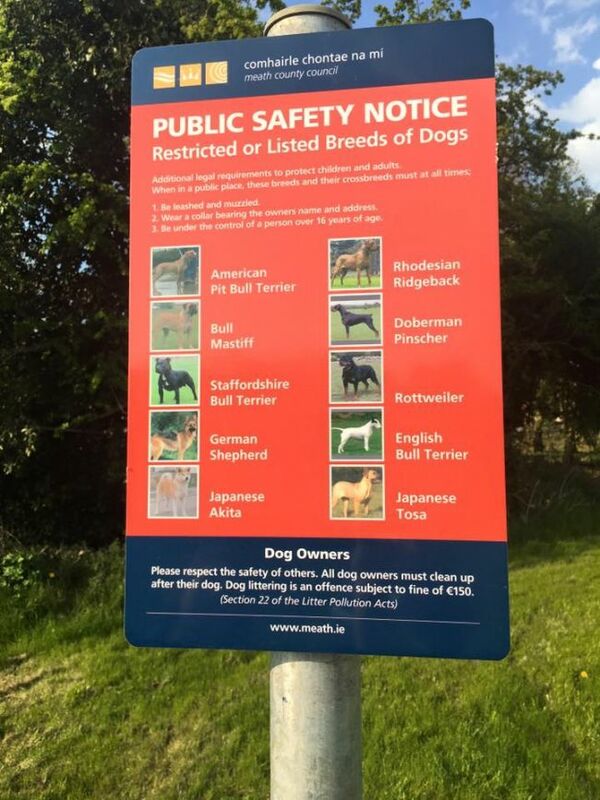 With more and more extreme dog attacks by dogs that were never bred to be pets or family dogs, it is time for all people in Ireland to report immediately upon sight any dangerous listed dog that is not muzzled and not on a leash, immediately to Garda. When you call the Garda, make sure to get their name and request that rapid action be taken against the owners who ignore the law. These list of breeds must be muzzled and on a leash at all times in public. No expections, report these dangerous ignorant owners, who of course all claim their dog / breed are just great. Nonsense these are ignorant people half wits who are a real danger to you and your family. Personally I would not even waste a minute approaching such a half wit who thinks they know better, their dogs are dangerous but likely so are they! the sort of person who chooses a Akita for example is either ignorant or a violent or scared person who us using the dog to compensate for potential violence. Just report these idiots to the Garda it is their job to protect the public.